Pediatrician Aaron Traeger says the anti-vaccination movement is creating a public health hazard. A pediatrician in Normal is warning the public about the spread of measles in the United States due to fewer children getting the vaccine. Pediatrician Aaron Traeger of Advocate Children's Medical Group says lower vaccination rates are limiting herd immunity against measles. 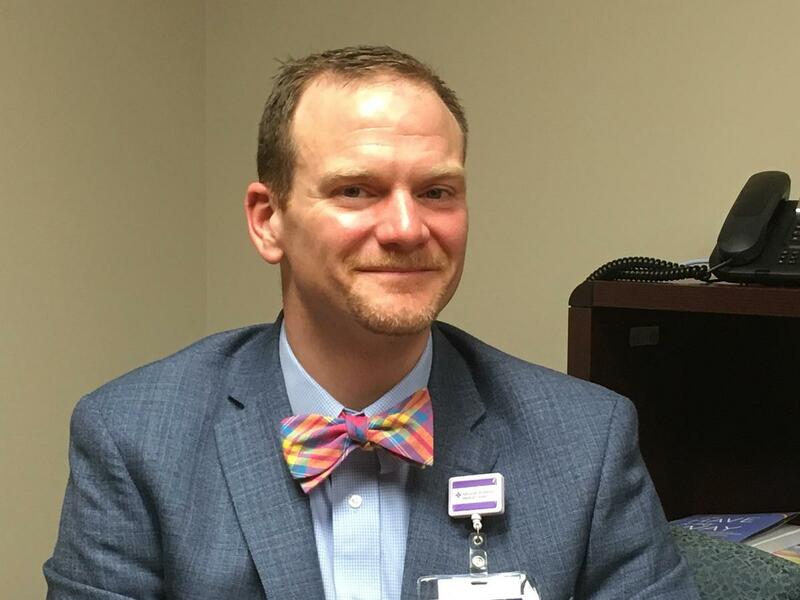 Dr. Aaron Traeger of Advocate Children's Medical Group said there's lots of misinformation online that's causing people to put their children and others at risk by limiting herd immunity against a highly contagious disease. “When most of your news comes from social media, that’s hard, and when most of your opinions come from random cases or things like that, that makes it very difficult to form a true informed opinion about it,” Traeger said. Advocate is sending thousands of letters to pediatric patients acoss the state encouraging them to call their pediatrician immediately and get their children immunized. There are more than 460 confirmed measles cases in the U.S, including seven in Illinois and four in Champaign County. Traeger partly blames the medical community for not speaking forcefully enough about the need for vaccines when measles could have been eradicated entirely. “Had we as a medical community 10, 15 years ago actually said, ‘I feel strongly in these vaccines,’ and I know that I don’t want measles to come back,’ then I don’t think we would have been in this situation now,” Traeger said, adding the doctors were seeking to avoid conflict and didn’t anticipate the scope of the problem that lower vaccination rates could create. “I tell folks and I mean this from the bottom of my heart, if there was any doubt in my mind that these (vaccines) were not safe and not effective I guarantee you my three kids would not be getting these things, but the science is there, the history is there,” Traeger said. He said he's not sure Illinois is ready to join the short list of states to make the measles vaccine mandatory with no exemptions, but he's also not sure many people understand just how highly contagious measles can be. Traeger said there are only a few doctors in Bloomington-Normal who he knows will sign a vaccine exemption form, and none at Advocate BroMenn, though that's not a formal administration policy. Traeger noted more white and affluent populations, including the United States, Australia and parts of Europe, have seen lower vaccination rates. He suspects that's because of social media and easy access to misinformation. Lt. Gov. Evelyn Sanguinetti was in Bloomington-Normal on Thursday to witness a demonstration of Advocate BroMenn’s telehealth system. Why Doesn't Bloomington-Normal Have A Level 1 Trauma Center? Bloomington-Normal has a lot of things that would make other communities jealous. Measles is a potentially deadly illness that is spreading in many parts of the world. Thanks to vaccines, the disease was eliminated from the U.S. almost two decades ago. But measles outbreaks have sprung up ever since.